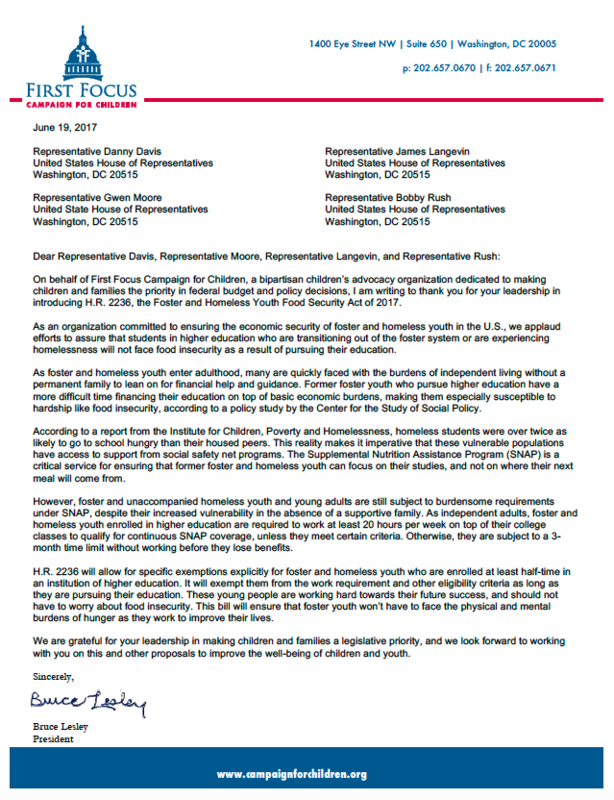 On June 19th, the First Focus Campaign for Children submitted a letter to Reps. Danny Davis, James, Langevin, Gwen Moore and Bobby Rush, for their support on the Foster and Homeless Youth Food Security Act of 2017 (HR 2236). 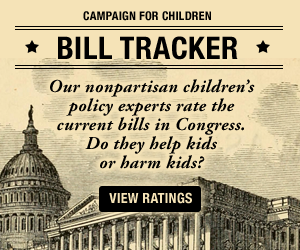 The bill will allow for specific exemptions explicitly for foster and homeless youth who are enrolled at least half-time in an institution of higher education. It will exempt them from the work requirement and other eligibility criteria as long as they are pursuing their education. This bill will ensure that foster youth won’t have to face the physical and mental burdens of hunger as they work to improve their lives.